Jawbone has given its life-tracking Up bracelet a second chance. The original was promising, but had a sky-high failure rate. The new band, Jawbone hopes, will fix the massive problems of the original, and deliver on its equally massive potential. The new Up bracelet, like its predecessor, keeps tabs on how much you're moving around (much like the Fitbit or Nike Fuelband). It also tracks your sleep—using a motion sensor—to tell you how well and how long you're resting. And it syncs up with an iOS app (and only iOS for now, no web client to be had here) to keep tabs on your meals, mood, and other activity. It can also wake you up with a smart alarm that optimizes itself with your sleep cycle. It tracks your lifestyle more than just pure fitness. Overall, it's a lot like the original. The biggest question, of course, is if these new Up bands will hold up. 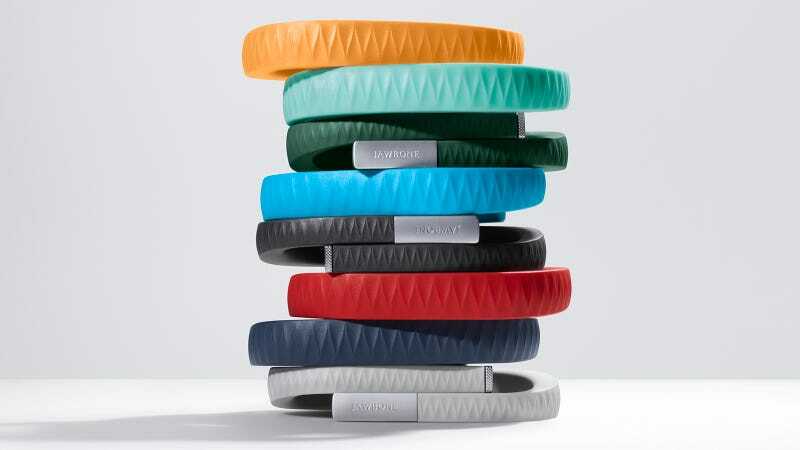 The Jawbone Up was one of the most immediately popular gadgets last year. It was innovative, attractive, and all around impressive. The only problem? It didn't work. The original Jawbone Up's fatal flaw was that, apparently, people are really damn hard on a bracelet they wear all day, every day. They get stretched in weird ways, and taken into the shower and exposed to soap. Those types of use cases were (strangely) not accounted for in the first Up. Jawbone responded to the failures by issuing a blanket refund to anyone who bought one of its bracelets—even if you didn't return it. And it got to work fixing what was wrong. That meant adding a new TPU material to improve the waterproof seals, stronger wiring, and a coating around the wires to better protect them. Jawbone says they've all been tested by a squad of hundreds of users "real life testing" the new bands over 46 weeks. So far, so good. Although you'd be within rights to remain skeptical until real buyers use them in quantity without incident. Aside from durability, some other minor quibbles have been cleaned up. You can use Facebook to connect with your friends now (before you had virtually no options). Others issues remain, like the lack of Bluetooth or NFC. Jawbone says it passed on wireless tech to save battery and space, which is understandable, if disappointing. An NFC Up or Fuelband would be a wonderful thing. The lack of an on-band display or watch functionality is also in the understandable-but-a-downer camp: "We didn't want to duplicate your phone's ability," Jawbone told us. Same goes for an altimeter.